Implementation Services - Continental Utility Solutions, Inc.
Our Timely, Effective, Accurate, Methodology – TEAMethodology – is a comprehensive process designed to reduce risks and ensure a smooth transition to CUSI products. From the onset of our relationship we establish a TEAM approach that ensures success. 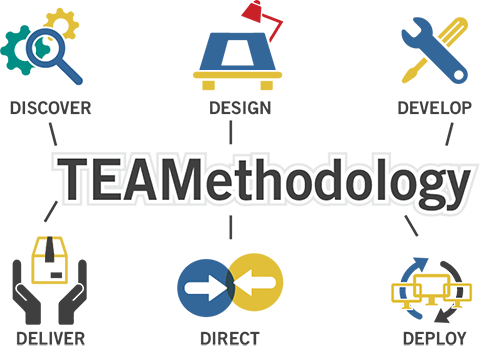 CUSI’s TEAMethodology involves and educates your staff from the first day of the project through a clearly defined timeline with responsiblities and deliverables. With a better understanding of the project, you can achieve total buy-in and acceptance from all involved. CUSI’s implementation is broken down into phases. A project manager will conduct TEAM meetings at the beginning/ending of each phase, and will review and sign-off on each phase as it is completed. 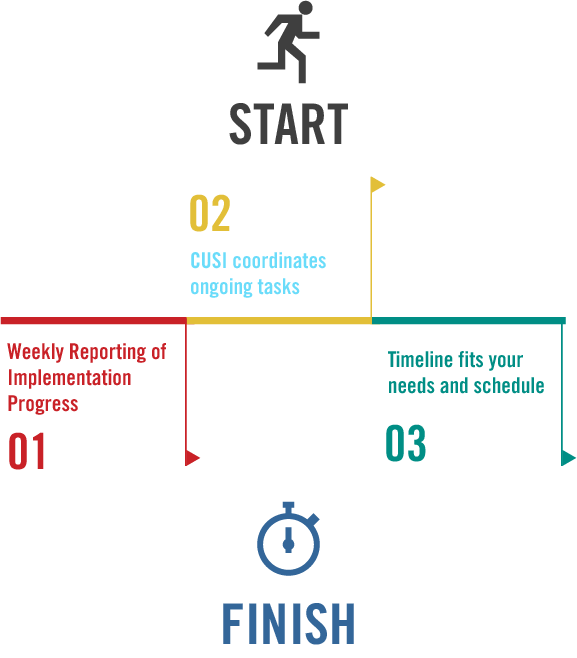 The TEAM meetings clearly define the steps associated with each phase. Each phase comes with built-in checks and balances. 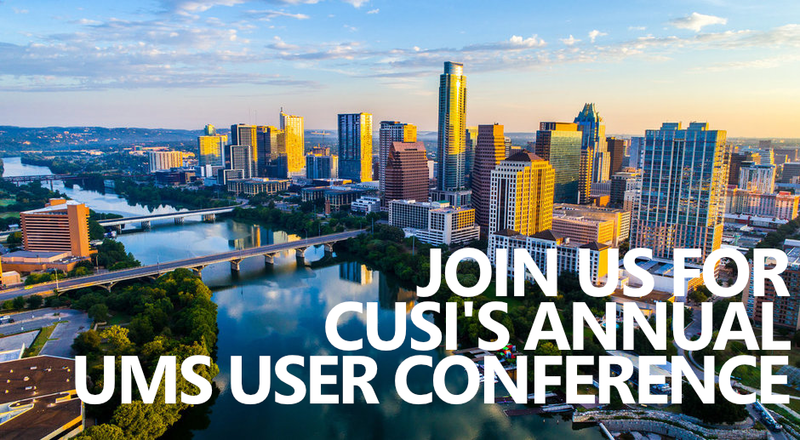 CUSI will proactively lead and direct all TEAM Members to keep the project on track and on time. As part of our client-led development philosophy, we believe it is critical to determine your needs and custom program any features that are critical for your utility company. We understand that you expect your utility to grow. Our software is geared to help you achieve your goals. Our team of accountants and CPA’s help determine how our software fits with your billing system, and how we can fully integrate our solutions to fulfill all of your needs. 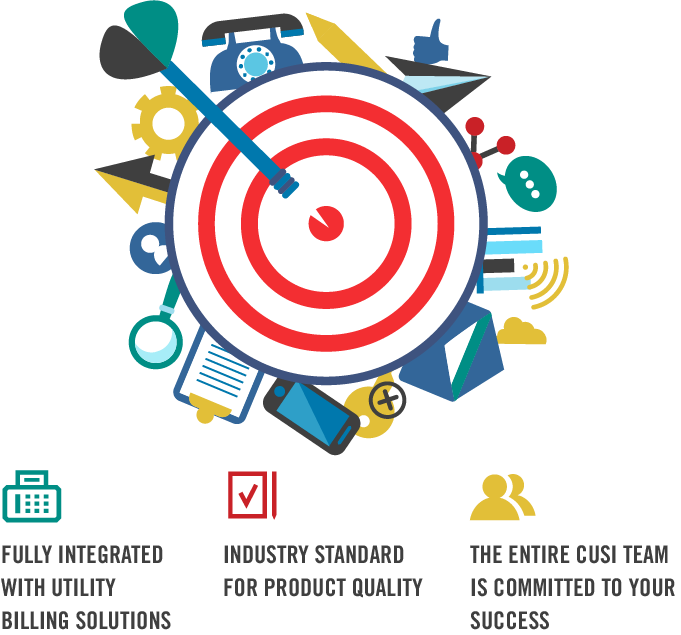 CUSI is proactive in developing a project plan that is unique to your utility company’s requirements. CUSI has made a huge investment in the perfection of the process of data conversion utilizing our proprietary tool set. CUSI employs an expert data conversion staff concerned only with providing fast, precise, data conversions for our clients. Our team of developers, database administrators, conversion specialists, system engineers, and hardware specialists, take your needs into account. CUSI’s business philosophy is based upon providing the highest quality of service in our industry and we ensure that our products will be the best. Our TEAMethodology has been proven over the years to deliver successful product implementations. In any given phase, our planned activities are executed as a TEAM, which provide a steady stream of communication. In the Discover phase, our team will work with you to determine your needs in order to define your business requirements. In the Design phase, our software will be designed to fit your business needs. As part of the Development phase, we will convert your existing data into your new software. When the software is delivered to you, our team will assist in training and familiarization with our products. During the Direct phase, we will coordinate internal and external resources to ensure that product deployment is a success. Finally, the software will be deployed throughout your utility company, and you will let us know how we did!